This year's iPhone upgrade will feature a rose gold casing color, matching the Apple Watch Edition, according to one well-connected insider, who also revealed it will feature a 12-megapixel camera and 2-gigabytes of RAM, among other changes. Ming-Chi Kuo of KGI Securities issued a new research note on Tuesday, a copy of which was obtained by AppleInsider, in which he revealed a number of changes planned for Apple's so-called "iPhone 6s." Specifically, he said that Apple will offer a new rose gold option, though he didn't indicate how much the high-end luxury model might cost. Apple first introduced the "gold" color with the iPhone 5s beginning in 2013. However, iPhone models to date have not been made of actual gold, unlike the luxury Apple Watch Edition which is made of 18-karat gold and starts at $10,000. 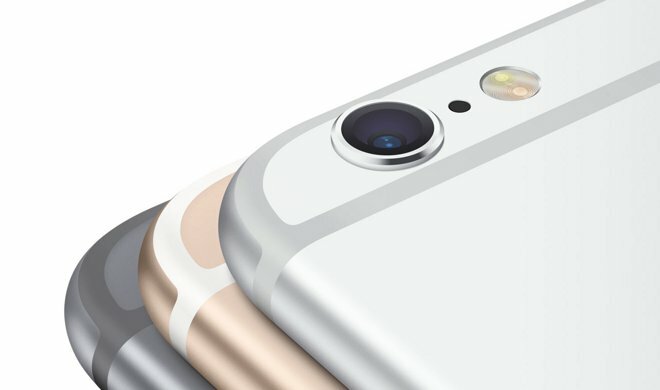 Kuo did not indicate whether the new rose gold "iPhone 6s" would be made of actual gold like the high-end Apple Watch, or if it will simply resemble the color found on the Apple Watch Edition. The new color option would presumably bring Apple's total number up to four, joining the existing gold, space grey, and silver. Other changes to the new handset are said to include a new design with different casing materials and a restructured internal design, addressing the supposed bending issues that affected the iPhone 6 and iPhone 6 Plus. Kuo also suggested that some 5.5-inch "Plus" models might use scratch-resistant sapphire covers, though he said that would depend on whether drop test issues could be resolved. Another microphone is also expected to be added near the "iPhone 6s" speaker to improve sound quality. And according to Kuo, Apple will also upgrade the camera to 12 megapixels. Kuo also corroborated information first reported by AppleInsider in February and reaffirmed that the next-generation iPhone will feature Force Touch input. He believes this will be the biggest selling point of the "iPhone 6s," but will also prove to be one of the biggest bottlenecks in the supply chain. "Force Touch can enrich user experience due to more input methods and support of handwritten signatures, which is beneficial for expanding the commercial market," he said. AppleInsider also first revealed in March that Apple would upgrade its so-called "A9" processor with 2 gigabytes of RAM, matching the memory found in the iPad Air 2. Apple has used a single gigabyte of RAM in its iPhone lineup dating back to the iPhone 5, which launched in 2012. It's also been said that Apple is considering a switch to its proprietary SIM card found on the latest iPads. Finally, Kuo also restated his earlier claims that there will be no new 4-inch iPhone model this year, leaving screen sizes of 4.7 and 5.5 inches. He also reiterated that Apple will include an improved Touch ID sensor that will improve the Apple Pay experience with faster, more secure readings.